When Finn breaks a promise that he doesn’t remember making all of time collapses on itself and it’s up to Jake to save his best bro before Finn is erased from existence. 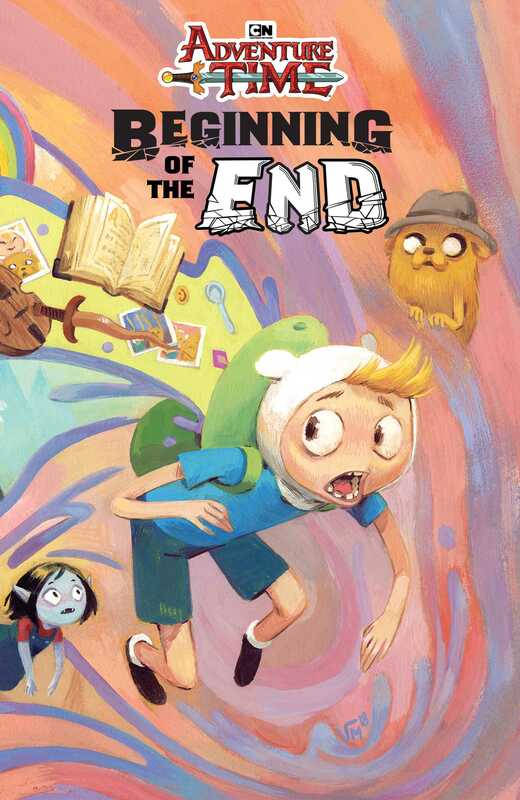 Celebrating the past, present, and future of Adventure Time, Beginning of the End finds time unravelling around Finn after he breaks a promise he doesn’t remember making. See what was and what could have been as Finn tries to remember his promise and Jake tries to get his best bud back before all of Ooo is erased from existence. C’mon and grab your friends with this special Adventure Time event that celebrates friendship through time and space. Written by Ted Anderson (My Little Pony) and illustrated by Marina Julia (Slam! The Next Jam), this collection features a never before published bonus chapter you can’t miss!